In a frying pan, fry the onions until transparent and add the mushrooms. When broccoli is tender add to frying pan. 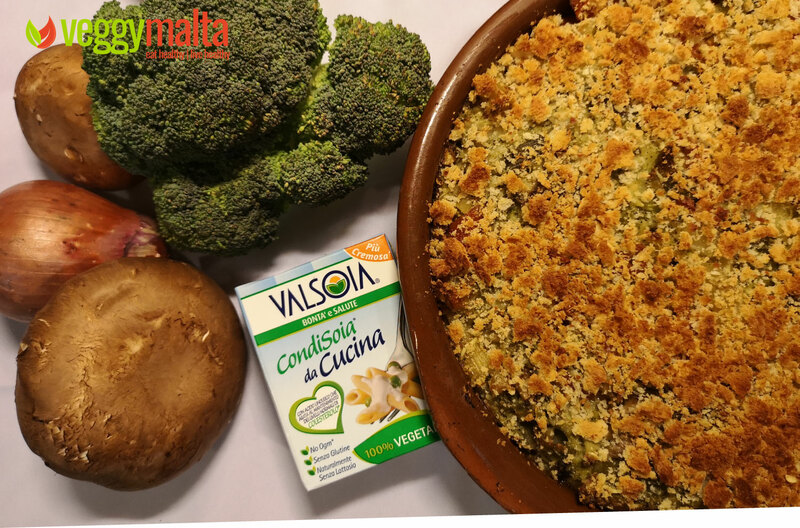 Prepare the vegan cheese sauce, with Valsoia CondiSoia da Cucina cream and different types of cheese. Warm cream in a pan. Grate the cheese and add to cream and stir till melted. When done cook the pasta. Add broccoli and the mushroom mixture together with cheese sauce to pasta. Mix and season with salt and pepper. Add the egg replacement (as per instructions). Pour into an oven dish and cover with breadcrumbs. Leave to cook in oven – 180 degrees for around 20-30 minutes or until breadcrumbs are golden brown.